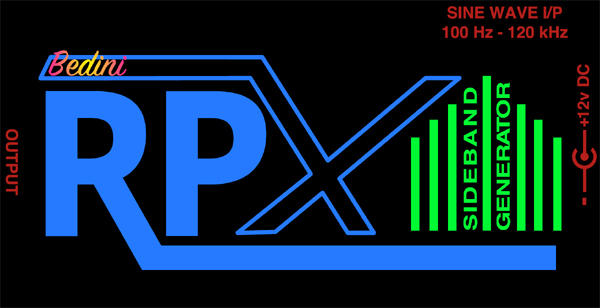 Here is a video showing the new signal generator that will be included in the Bedini RPX Combo. 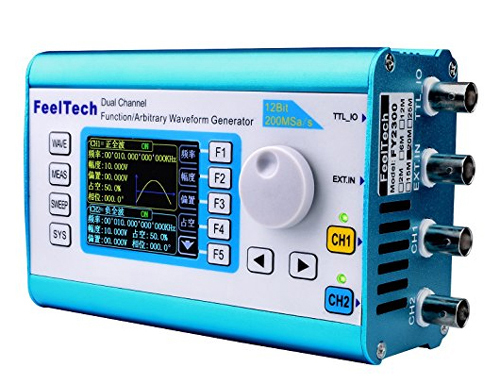 If you have a signal generator similar to this, the ONLY way you can have it replicate what Rife was doing is by connecting it to a Bedini RPX – there is no other way around it. 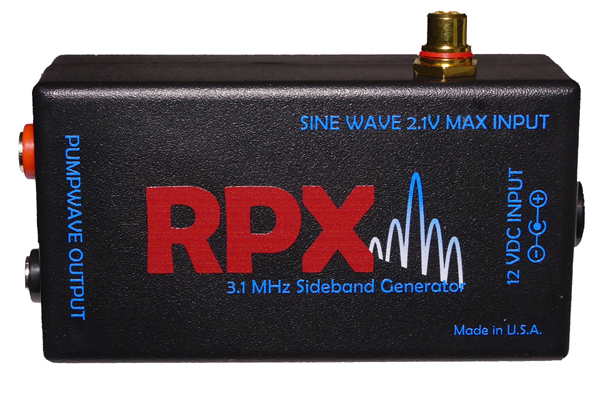 If you already have one of these signal generators, you can purchase the Bedini RPX Sideband Generator all by itself. We’re also going to be coming out with some other devices that can be plugged into the SAME battery and signal generator so you don’t have to repurchase them. We’ll give details soon! Here are 2 video tributes to John Bedini where he discusses Rife’s technology on the Jeff Rense show. Thanks to Davy Oneness for creating this video tribute! Share this with the share buttons below! We want to share the top 3 picks out of all the entries so you can see the wide range of creativity and talent that went into them. Simon will receive a free Bedini RPX 3.1MHz Sideband Generator unit and Mike and Andy will each receive any two digital download packages of their choice. Thank you to everyone else for participating! 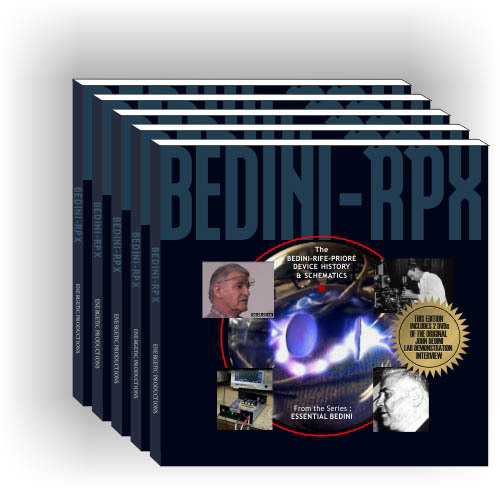 Bedini RPX Sideband Generators Now in Production! 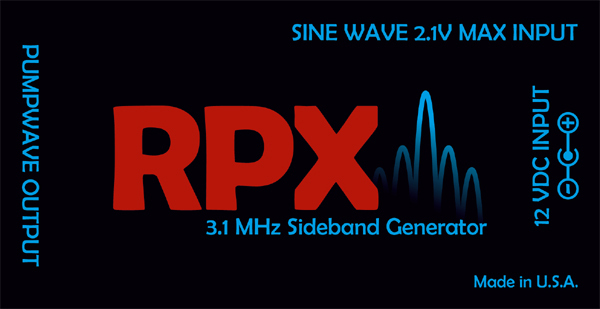 WIN A RPX SIDEBAND GENERATOR BY DESIGNING A BRAND NEW LABEL FOR IT! We are going to have the label printed right onto the black PVC case instead of using a sticker. We are leaning towards a black background, but we want your ideas! Printing: Offers full-color printing on most surfaces. In the unlikely event a surface is not eligible for full-color printing, they can pad print. Vector based artwork is required for printing. This includes, but is not limited to, Adobe Illustrator, Corel Draw, and .pdf or .eps files. Ink Colors: Colors will be printed per your electronic artwork file. Artwork should be designed for the CMYK color space. If a PMS color value is requested, the CMYK equivalent will be printed. There may be a color shift in the process depending on the specific spot color. Black, red, and white ink is available for keypad printing. The dimensions for the image that you submit must be 3.875 inches wide and 2 inches tall. It must be 1200 DPI. Of course if it is vectorized, we can adjust the dimensions slightly if needed. EPS is our primary choice for the format. You can decide if the electrode and pumpwave, battery input and audio input text is necessary – or if there is a way for you to make it look good. We are accepting submissions in 1, 2 or 3 colors or even full color. If you can submit your design idea in all 4 of those, that is the most helpful. If you use some kind of “frequency” or other background image from i-stock photo for example and your submission wins, we will go purchase the license fee for the graphic – just keep the link of what background image you used. If your submissions wins, the copyright will be owned by A & P Electronic Media as this is to be considered a “work for hire” and will be free of any royalties. If the graphic is larger than 10mb, please upload it to Dropbox and send us the link – or email it directly if it is small enough to: info@ (put the domain name for this website). The deadline for submissions is February 7th, this coming Tuesday. This is only a few days because we hope to have the new label on the next production run of units. Last night, I reread John Bedini’s RPX book and it is astounding how simple he keeps boiling this all down to. What is even more astounding is how 99% of all the devices sold online claiming to be Rife machines are all junk and do not work and have nothing to do with Rife at all. 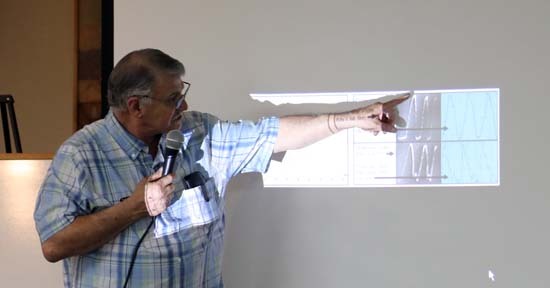 It is important to always understand the lineage of where your information is coming from and John was intimately connected to Joseph Crane – Rife’s own assistant. Although Crane was a charlatan, he didn’t fool John and John figured out what was really going on with the help of a few other brilliant men who were involved with the project. The history of all of this is laid out as well as technical details on HOW the machine works and once you understand it and what John’s innovation contributed to this understanding, you can see why the plasma tubes are NOT even necessary. Having known John for almost 20 years and having spent countless hours at his various shops over those years, it was always amazing to watch how he keeps making any particular circuit simpler and simpler and simpler. That is exactly what he has done with his Sideband Generator circuit, which actually has its origins in his work on the Rife technology starting decades ago. I personally have no background in radio frequency circuits, sidebands, etc… however, between John’s book and 3.6 hours of video that comes with the book, the operating principles and how it is built is easily understood. Some people think it is all about audio frequencies that are common to countless “Rife Frequency” lists that are available everywhere you look. They also think they can just get some function generator and output those frequencies to electrodes and that is supposed to do something – big mistake. They also think you need some high power plasma tube to transmit the frequencies and although that works, it is completely unnecessary. For the audio frequencies, it is important to understand what you have to do with them in order for them to be significant. And it is also important to understand their mathematical relationship with a fundamental frequency that is necessary to produce the REAL Rife frequencies. Without this knowledge, all those audio Rife Frequency lists are completely useless. Another very important fact to understand is the method of DELIVERY of the frequencies. Once you understand Priore’s work, then you understand what John has simplified while making the plasma tubes obsolete and what used to fill up a 4 story building can now be held in the palm of your hand, literally. If you’re an electrical engineer and also have experience with audio circuits, it will be more than obvious how to make multiple variations of the same circuit that will accomplish the same thing. 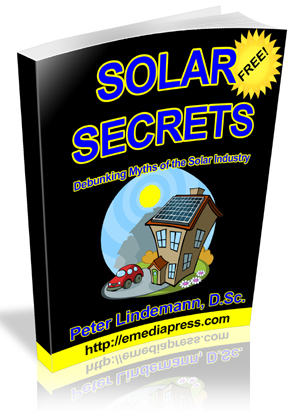 This book shows what to look for on a scope as well as a frequency analyzer with a tracking option so you can see that all the Rife Frequencies ARE indeed being hit like a magic bullet. And with the proper sweeping input from an audio generator, it will hit ALL the frequencies further making it obsolete to program in any particular frequency. Please understand this information is for experimental use only with no claims given, but it is THE most important disclosure of Rife’s technology that has ever been given to the public. We’re giving you a free digital book or video from A & P Electronic Media with each and every purchase so make sure to let us know which one you want.